Office Hours: Monday - Friday: 9:00 to 5:00; Saturday by appointment only. Directions to Office: Yahoo maps for location details. 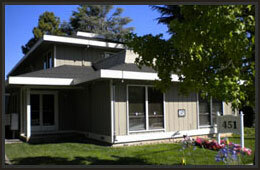 We are on Los Gatos Blvd south of Blossom Hill and north of Los Gatos-Saratoga Rd in the Town of Los Gatos. From Highway 17, you would take the East Los Gatos exit and continue on Los Gatos-Saratoga Rd until you get to Los Gatos Blvd. Turn left onto Los Gatos Blvd. and we will be on your left-hand side after about 1/2 mile. If you get to Nino Ave. you've gone too far. Parking is available behind our building. We are located on the 2nd floor. Note: If there is an emergency on a holiday or outside of our regular office hours, please call (408) 499-2762 or (408) 867-7165.